Need (Accuracy + Precision) for the measurements?? Well, now kick out all those old methods of measuring such as rulers, tape measures, squares etc. Now guess what? A Laser Measure- one electronic distance measuring tool solution for many problems. Availability of data transfer with Bluetooth. 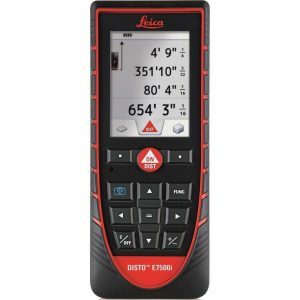 However, given the number of laser measure in the market today, it can be a tricky decision to pick one for your needs. It’s a good idea that you know a bit more about the best products in the market today. For starters, this device is known for its accuracy and range. It offers the best range in the market with 165 feet and has an accuracy of 1/8 of an inch. Bluetooth functionality makes data transfer hassle free to your smart devices. All you have to do is to have the Bosch app on your phone or on your tablet, and you lessen the manual work of writing the measurements down. 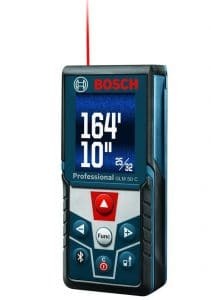 An inbuilt inclinometer makes Bosch GLM 50 C stand out from the list of best laser measuring tool. The 360-degree tilt sensor mechanism makes the angle measurement easy. It also includes stalk-out functions. The Bosch GLM 50 C also provides you with real-time measurement. This way, you could access the distance from where you are standing and changes as you move closer or farther from the target. The compact design makes it perfect for work outside. Regarding its display, it makes use of an upgraded backlit colour display that makes it easier to see the measurement at any time of the day. The best part is it can store the last 30 measured value automatically. It suits perfect for architectural works. This device can take approximately 10,000 measurements per battery. Leica DISTO D2 is a point and shoot laser measure that comes with a free DISTO sketch app. Together, it offers a sketch app that can be downloaded on both iOS and Android devices. The DISTO D2 is an improved version of the D1. Fast computations of the area, volume, and two and three-point Pythagoras are some of the best features in this laser measure. This laser measure comes with an intelligent endpiece which you can flip it to 90 degree to hold onto the inside and outside corners for perfect max and min measurements. Set the endpiece onto corners and take an accurate diagonal measurement. If you will compare the DISTO D1 to the D2, you will notice how it has jumped from just having a range of 130 feet to 330 feet in the newest version. It also has an intuitive LCD display and 4 oz package which makes the device small enough to fit any pocket. Since the device can save the last ten measurements that were taken, it makes it easier to work with this device since you can check your data every now and then. Range and Accuracy: Measures up to 165 feet; 1/16 inch accuracy for measurements between 2 inches and 33 feet. Wondering for an easy-to-use laser measure? 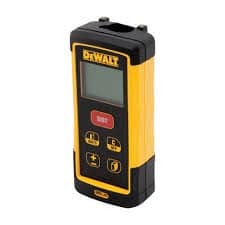 Then DEWALT DW03050 165 is the best option for you which can be a perfect pair aid to your renovation or construction work with effortless operation. This device can measure up to 164 feet. In terms of accuracy though, it differs depending on the range that you are measuring. From 2 inches to around 33 feet, the device is known to have 1/16 of an inch accuracy. It saves the last five measurements made on the device making it easy to check and do some computations later on. Distances are measured using Pythagoras if point A and/or point B are not accessible via linear measurement. 2 AAA batteries are used for this device and it even includes one set when you buy one. 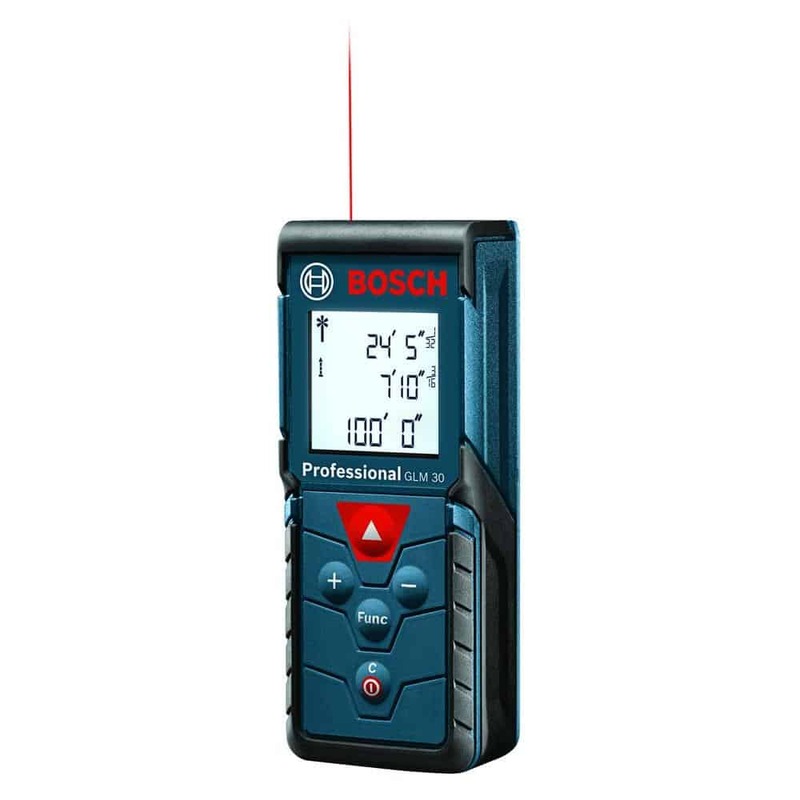 Bosch GLM 35 comes from a number of best laser measures in the market. This device offers 120 feet range, which is a clear improvement from the previous model which was the GLM 20. And also, unlike the first one, it can perform indirect measuring and can also give you the volume and area with ease. It comes with one button operation that allows you to get the measurement just by pressing one button. And also, the GLM 35 offers a real-time display of the measurement which means that it adjusts as you move closer or farther from what you are measuring. You can also add or subtract the measurements. This device can be used even in dark areas because of the backlight that even gives a better resolution in this particular situation. And also, it has a handy pocket-sized design that can fit in your pocket while you are working. Range and Accuracy: 650 feet range with 1/16 of an inch accuracy. Measurement Modes: Measures in feet, inches, yards, decimal feet, etc. This might be a bit pricey, but it can deliver the best bang for your buck for a number of reasons. It can measure upto 650 feet. Now, if you are the type who needs to work on buildings or trees, this is something that can definitely come in handy. And the good thing about the device is that it makes use of Bluetooth which makes it easy to transfer the data gathered by the device. In terms of accuracy, it is probably one of the best in the market considering the range that it offers. It has 4x zoom and it makes use a point finder camera which makes you easy to find the target in the display. You can consider it the perfect laser measure if you are working in broad daylight. Also, it has IP65 water jet protection paired with a dust tight design. What this means is that this device can withstand the harsh working environment. A 360-degree tilt sensor makes it possible to measure both heights and even elevation changes. 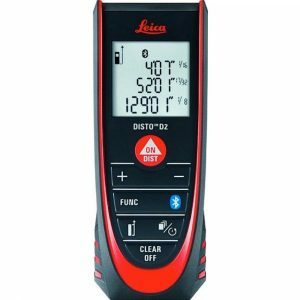 The Leica DISTO E7500i can also be used to take indirect height measurements perfect when there’s no obstruction such as when measuring the height of trees and towers. It makes full use of full-color display and an easy to navigate interface simplifying the complex laser measuring functionality of the device. Range and Accuracy: 330 feet range with 0.04-inch accuracy. Fluke 424D is a laser measure that can offer a decent range of 330 feet. Usually, most products can only go below 200 feet. Despite measuring 330 feet, this device is also known for its accuracy. It was designed to allow measurements without crossing dangerous areas, or even doing things manually. It is also packed with versatile features such as a 180-degree inclination sensor and a built-in compass for height tracking and levelling. Though it can withstand dust and water, the Fluke 424D was designed mainly for indoor use. It can also be used for outdoor applications, remember that this isn’t the forte of the device. A bright laser is used that allows the user to see where the targeting point is [e.g. in a wall]. It can also recall 20 complete displays making it easier to review the measurements you’ve made. And if you are not comfortable with your shaky hands, the Fluke 424D has a tripod mode that allows users to mount it to measure long distances. Range and Accuracy: 825 feet range with an accuracy of 1/25 of an inch. Measurement Modes: With 11 measuring modes including area, length, volume, continuous, min/max single indirect, double indirect, stake out, trapezoid, and multi-surface. 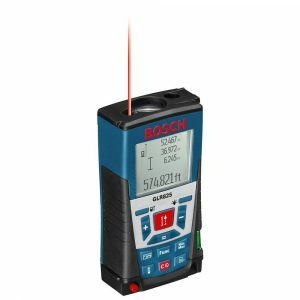 The Bosch GLR825 is one of those laser measures that offers superb distance. It can accurately measure up to 825 feet perfect for the construction and concrete trade. It offers versatility with 11 measuring modes including the ability to take the area, volume, length, single direct, trapezoid, double indirect, multisurface, stalk out, etc. The storage capacity is extended upto 30 measurements allowing the user to take multiple measurements without the need for a notebook. It also makes use of 1.6 times magnification in its viewfinder and is regarded as the most accurate laser measure in the market. When it comes to the durability of the Bosch GLR825, it has an IP54 rating which makes it resistance to both dust and water. If you are tired to make use of a tape measure in your work, computing the area and the volume of an area, then perhaps, you want to consider having a laser tape measure. But of course, there are a lot of laser measure products in the market and it can be confusing especially for someone who doesn’t have any experience with one. The reality is that there is no generic approach. Each person will have a different requirement. Contractors will need a laser measure that can perform well both in indoor and outdoor situations. In addition to this, the range can also be a deal breaker. 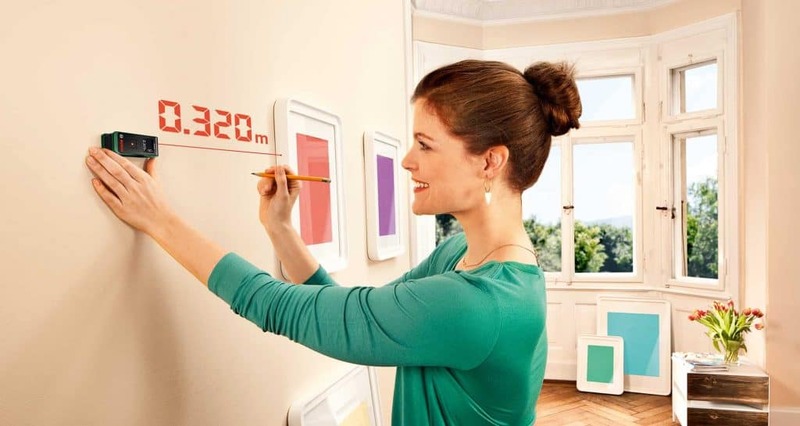 Some individuals will need to have a laser measure that can measure distances of more than a meter while others will only make use of the device in a small room or for their weekend projects. To make things simple for you in making a decision which laser measure to pick, here are some things that you might want to consider closely. Though price shouldn’t be the only thing to consider when buying a laser measure, it is imperative that you know your budget. There are those laser measure tools that can go as high as $500 or more while there are those that can cost just around $100. Now, always ask the question how much you are willing to spend on this kind of tool and your nature of work. Perhaps, if you are going to use the device daily for your work, then it might be a good idea to spend on a high-end tool if it can give you the functions that you need. Are you going to use it for indoor or outdoor? We discussed that different laser measure products in the market are designed differently. There are those products that are meant for indoors only while there are those that are designed for both indoors and outdoors. It’s common to see laser measure products that can only be used indoors. The laser pointer is simply difficult to find outdoors especially when working in broad daylight. Also, you also have to consider the backlight display. Now, there are times when you are going to work in a room with poor lighting. That’s when the LCD display comes in handy. It is a good idea as well to check the design and the overall durability of the device. Is it water and dust resistant? If you see an IP54 rating on the laser measure, then the device can tolerate both water and dust. For some products, some brands even include the fall test making sure that the laser measure can tolerate a few bumps. Part of the reason why you are investing in a laser measure is the fact that you want to get rid of the manual work. That means that you don’t want to go to the other end using a tape measure, not to mention you also don’t want to be the one computing for the measurements that you just took. Aside from doing the computation on the area, volume, and other things that you will need, there are also those devices that can do Pythagoras when point A and/or point B are not available. What it does is not only make the work easier and faster, it is also an opportunity to minimize mistakes along the way especially when you already have a long day working. Another manual work that you want to get rid of is the hassle of writing the measurements that you took. 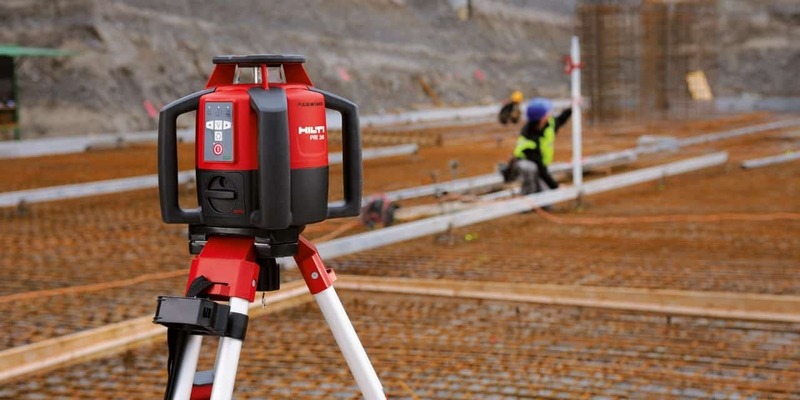 Now, there are those laser measure products that can record the numbers for you. However, different brands have different ability to remember numbers. There are those that can remember the last five measurements you took while there are those that can remember up to twenty. Next, since laser measures are portable devices, it means that it will require the use of batteries. 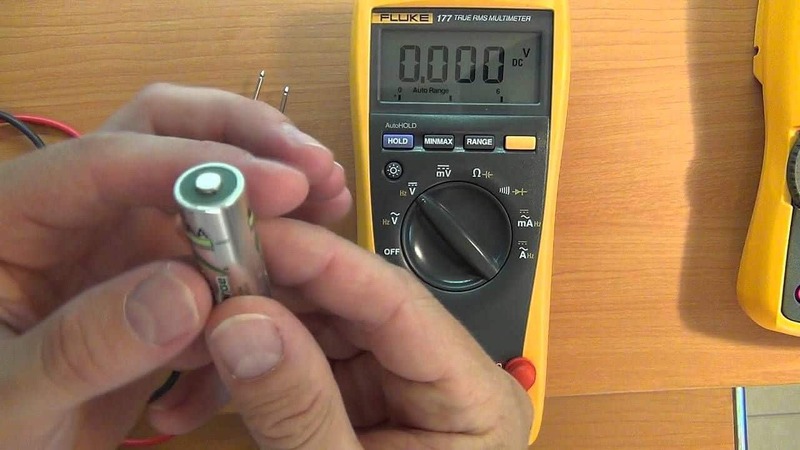 Aside from the number of batteries that you will need, try to have an idea of how many measurements can the unit do before the batteries get drained? It’s quite common for a lot of laser measure brands to claim that the batteries can last for 5,000 to 10,000 measurements. But of course, this is only an estimate. Lastly, it is important to consider the size and the ergonomic design of the device. Size is quite important because you don’t want something too huge to fit your pocket. Also, you want the laser measure to be ergonomic. Ask these to yourself- Does it offer additional grips? Or maybe, the buttons are not positioned to be awkward for your digits? Then buy according to the nature of your work. How much does a laser measure cost? The price of the laser measure depends on different factors. It depends on its functions, durability, range, and accuracy, and even its overall built. You can have a decent laser measure for $120. Can it measure the area and volume automatically? Most laser measure in the market can measure the area and the volume automatically. Some can even provide you the conversion of English to metric system vice versa. Does it record previous measurements? Some devices do record the previous measurements while there are some that don’t have this feature. 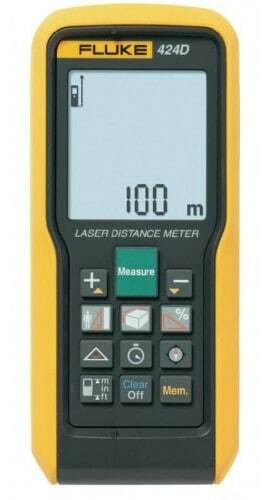 There are some laser measure units that can remember the last 20 measurements. How accurate is a laser measure? Each unit is designed to have different accuracy. As rule of thumb, choose a device that has around 1/16 of an inch accuracy. What’s a decent range for a laser measure? It should at least measure around 100 feet without any problem. There are some devices that can even go beyond 300 feet. However, you also have to consider the accuracy of the device. It’s common for some units that take long-range measurements to compromise the accuracy of the reading. Laser measures can be a good investment at home or for those who professionally work in the concrete industry. Regardless if you are a hobbyist at home or someone who is always on the field working and measuring different things, there’s a laser measure that is perfect for you. But of course, make sure to compare the different options. This way, you can have the best bang for your buck.